Bettina: Hi Peter and thank you for being here on YTP. Peter not only do you have this successful branding and communications company, but you have also been a yoga and meditation teacher for over 20 years, so you know first hand the challenges for yoga teachers to continually market their services. Peter: Yes, as a teacher for 20 years and practitioner for much longer than that, I’ve seen first hand how studios work from “both sides of the fence”. B. Can you tell us what Branding encompasses? P: Well, I’ll start with a working definition to begin with. A brand is a name or term or symbol that identifies a service or product in the market place. Now that sounds like a logo, but it’s more than that. A logo is the visual representation of what the brand is. The brand includes the values of the business the way it conducts itself internally and externally and the way it communicates with its target audience. A brand has a “personality”. B: What should we be taking into consideration when going through a branding process? Here’s Peter’s tips to ask yourself when getting ready to create your brand. What are you offering that’s unique or special? What is it that makes your offering different from others? What are the rewards (benefits) that your customers will get from using your service/products? Physical, Psychological & Emotionally. Is there a market out there and a need to be fulfilled? Those are the things you want to think about before you start to begin to think about logo and identity. B: What about the need for the brand to follow through? P: In terms of identity, consistency is really important. Brand identity should carry through all your materials, business cards, signage, marketing materials communication, website, uniforms. B: So you want to get it right. Here’s a curly question, what does it cost to get a brand created and what is the cost of not having a unique brand? P: Before I talk about it in terms of dollars and cents, the cost for not defining your brand, is a kind of confusion, a lack of direction and focus in the business. You will start to set perceptions in the market place for your business and its hard to change perceptions once they are established. So its best for you to define your brand right up the front. In terms of the dollar cost , now that’s a hard question. It’s a bit like asking how much does a website cost, it depends on the complexity. So cost depends on what you want and on the size of the business. Start with a budget $1,500 – $2,000 to do some good work on creating a brand. B: So that’s probably out of the budget scope of most independent yoga teachers however is a worthwhile investment for people looking to establish a long-term business. P: Yes I think that price is really for people who want to establish a long-term business. It’s not the sort of price you would pay to design a business card. 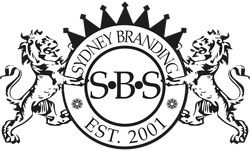 Creating a brand is sustainable and extendable. B: Well I think it should be part of your strategy if you’re planning for a successful business. What else should we know about Branding, what would you like to leave our listeners with? Do your groundwork and research before you begin to think about what sort of logo you want and what sort of colors you like. No successful organisation goes out to market without spending some time and money finding out about their customers or market and about their competition. So go out and do some research go out and look at what other/studio’s are doing, how they decorate, how they take payments. Ask questions of other teachers and studios to see how they do things. Don’t try to keep it all in your head. Write things down, create a file and keep all your notes in one place. Then you will start to build a picture of what works for you and what doesn’t and it will give you a better idea of what you want to do that’s different from the others. B: That’s almost like you’re creating a vision board? P: Yes that’s what you want. The last bit of advice is; don’t make the mistake of thinking ‘I’m just going to tip my toe in the water and if it all goes well then I’ll work the branding out later. Because its making a commitment and you should believe in what you going to do, just go for it and make it work, don’t kind of vacillate about it.